Ahh, matcha. Arguably one of Japan’s most popular worldwide exports. It is refreshing, aromatic, energising, and so ridiculously good for you that it might be more appropriate to change the well-known quote to “a cup of matcha a day keeps the doctor away”. However, as well as being a delicious beverage, matcha is also one of Japan’s most popular flavours. Used in a variety of snacks, sweets and drinks, there are even fewer excuses for every household to not always have a canister of matcha on standby. And so now we shall be introducing some of Japan Centre‘s favourite matcha infused recipes for you to try. 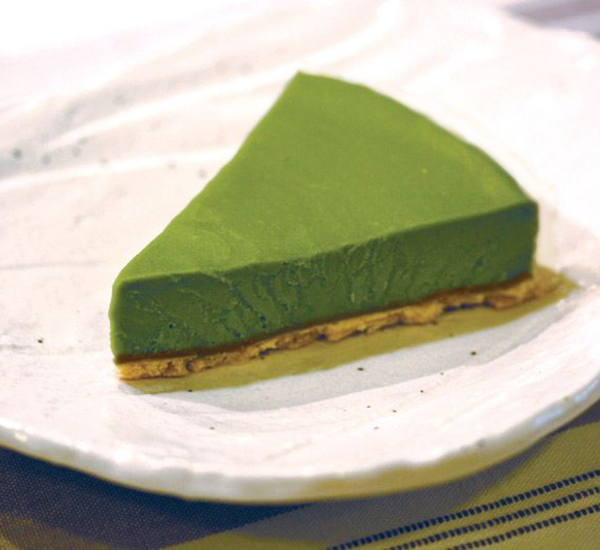 Matcha Tofu Cheesecake – Our Most Popular Recipe! Allow us to take this opportunity to unequivocally say that we love our cheesecake, and this recipe is a perfect combination of the rich creaminess of a cheesecake and the sharp freshness of matcha. This cheesecake filling consists mainly of soft silken tofu mixed with cream cheese, which creates a smooth texture without using cream. We think this filling is delicious enough without the matcha, but the great thing about adding matcha here is that the cheesecake eases away the bitterness of matcha that some people might not enjoy, while the clean, earthy flavour of the matcha cuts through the extra sweetness of the cheesecake. The two components balance each other out, and bearing this in mind it is little wonder that this great cheesecake is our most popular recipe. Green Tea Ice Cream – A Delicious Summer Cool-Down! 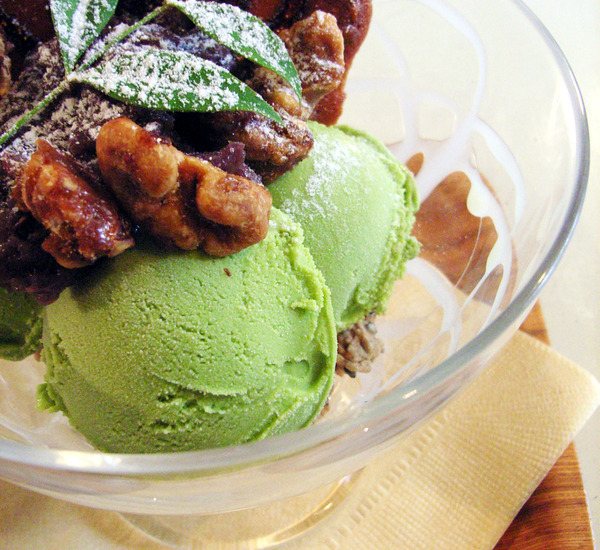 Matcha ice cream is insanely popular in Japan. Big ice cream chains such as Baskin Robbins and Cold Stone Creamery have matcha ice cream as one of their standard flavours, and matcha is one of the four most popular ice cream flavours across the country, along with vanilla, chocolate and strawberry. Like cheesecake, ice cream is rich and sweet enough to dampen the bitterness of matcha, and the freshness of matcha again lends itself well to the richness of many ice creams. Here in the UK matcha ice cream is not quite so easy to come by, but this amazing ice cream recipe makes it easy for you to make your own. You don’t even need an ice cream maker! Green Tea Latte – An Amazing Coffee Substitute, Hot or Cold! As much as many of us enjoy our morning coffee (as well as our 10am coffee, our 11am coffee, our lunchtime coffee, our afternoon coffee…), we all know that all that caffeine is hardly doing nice things to our bodies. Green tea, on the other hand, is packed to the gills with antioxidants to help keep the body healthy, contains only about a quarter of the caffeine of coffee, and it is believed that drinking it has a preventative effect on a number of illnesses. So why not try switching one of your daily coffees for a refreshing cup of green tea instead? Or if you enjoy your coffee with milk and a little sugar, why not have a go making this tasty green tea latte? We are sure you will be hooked in no time! 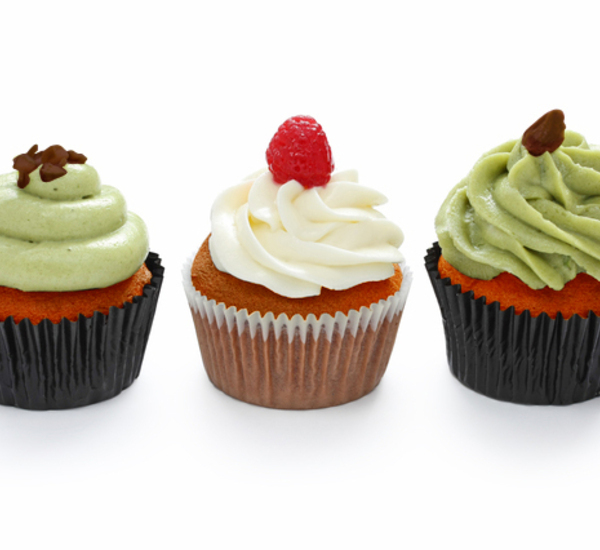 Red Bean & Matcha Cupcakes – Western Cake, Japanese Twist! Red bean paste is another insanely popular flavour that the Japanese like putting with both traditional Japanese and more Westernised desserts. For those who have never tried it, red bean paste is thick and slightly sticky, with a rich, sweet, and mildly nutty flavour. Together these two flavours compliment each other, with the green tea cutting through the almost gluggy sweetness of the red bean paste well. If you enjoy making cakes and sweets, this cupcake recipe should be right up your alley. The cake base is sweetened half with sugar, half with sweet red bean paste, making the flavour deeper and more unique than with plain cakes. The butter icing is then flavoured with matcha. Serve these the next time you have guests over and prepare to wow them! Now we would like to know if you have ever experimented with matcha in your cooking? 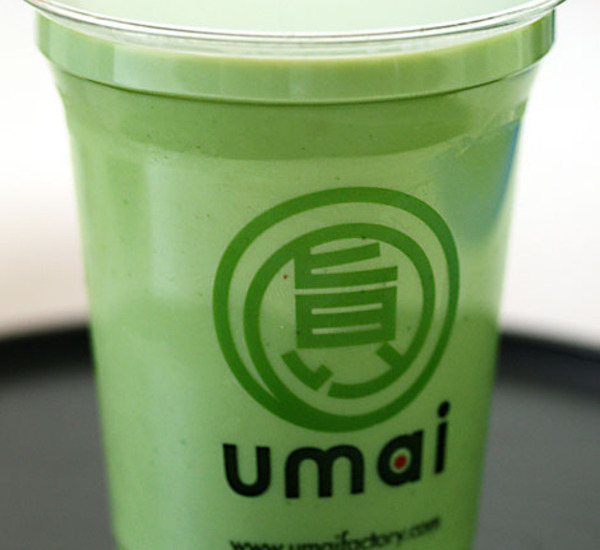 Alternatively, are there any matcha recipes you would like us to create in the future? Leave your comments below, or on Facebook or Twitter. Posted in Uncategorized and tagged cooking, dessert, Green Tea, matcha. Bookmark the permalink.